Every season, we try to bring out new and interesting designs. Every year, we look to launching something special. Last year, we launched menswear, the year before was the start of our 60s collection. 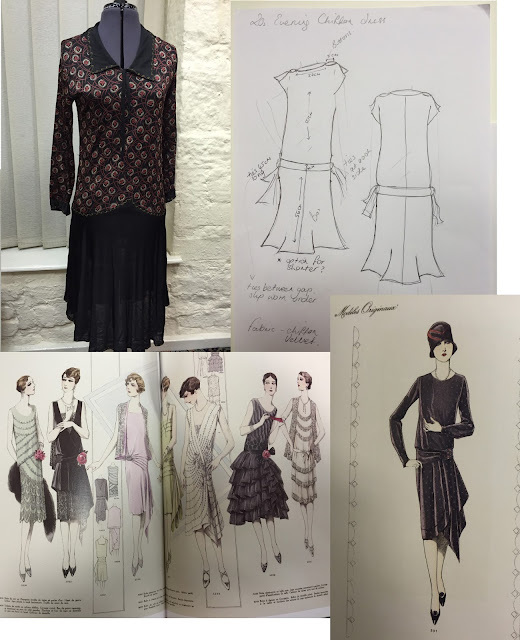 From a designers point of view, the initial 1920s shape was fairly simple with much less complex pattern work than other decades. 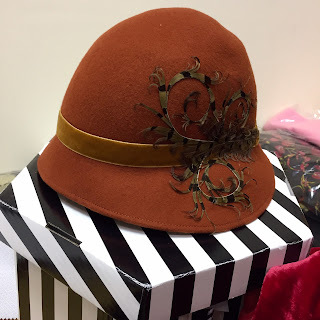 However, there was so much imagination through the fabrics used (rich velvets & chiffons), print and wonderful embellishments and decoration such as beading, jewellery and headwear. All to create one of the most chic and elegant eras in fashion. This is the start of so much change in womenswear heralded by social change. Although the main shape is very simple, the 20s look was so much more than just a drop waist flapper dress. Its amazing how much variety was created through draping, godet insertions, neckline styles, gathers and frills. 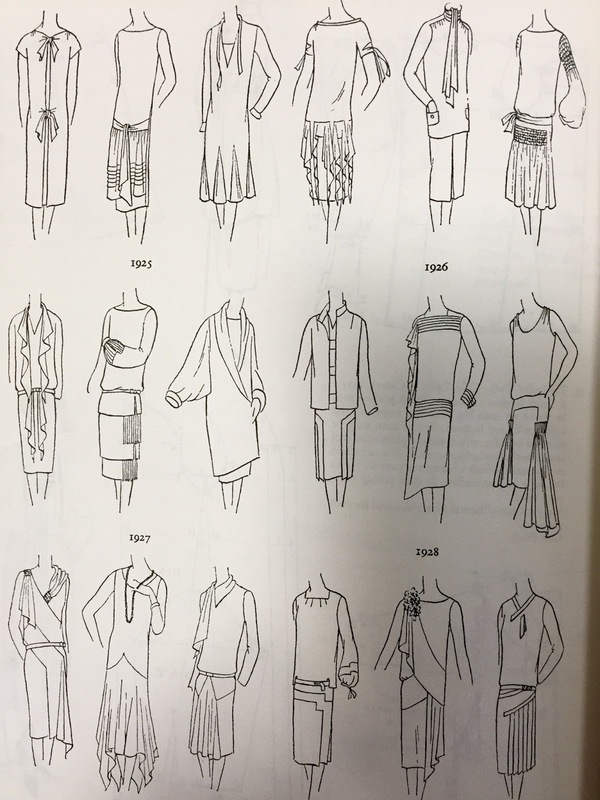 Its safe to say that the early part of the decade was fairly frumpy and certainly, we prefer the styles from 1925 onwards. However, I was surprised by comments from the curvier ladies at the party who said they genuinely felt great in the straight dresses. I imagine for those of us who are apple or pillar shapes then this can be a really flattering style. Since there are many gorgeous beaded dresses already around, we have decided to focus on chiffon and velvet styles. The collection contains two chiffon dresses and some jewellery at the moment but we hope to add another dress style soon in velvet. Due to the time of year, we are focussed mainly on dresses for parties or evening wear but expect to add some daywear into the new year and early spring production. I also want to add a coat into the collection - but there is so much to do first! We are also delighted to be working with vintage milliner Lily Lewis to bring some beautiful headwear to go with our dresses. She has designed a exclusive selection which is matches beautifully with our new dresses and is coming very soon! I'm just so excited about this range and adore the two dresses you've produced so far. It's fantastic to see someone producing 1920s evening dresses that aren't all sparkles and fringing. 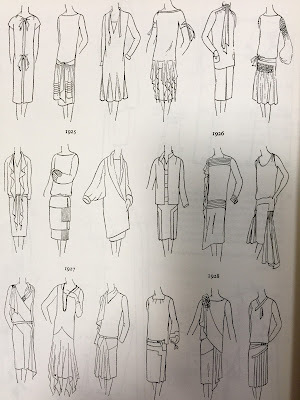 I personally much prefer the daywear of the 20s especially the beautiful Chanel inspired knitwear and jersey, it really was so very different from anything designed beforehand. I cannot wait to see your daywear range and that hat is just gorgeous. I suspect I'm going to be rather broke when all these pieces are for sale! I'm an apple and I love those styles - often with apples our hips are fairly narrow in comparison to our waists, and I find I can go down a dress size with drop-waisted styles. Straighter 20s/60s shapes are definitely kinder to me than hourglass 50s styles, even though I'm plus size. (And thank you for catering to plus sizes! That is such helpful information - we are so wanting to produce garments for apple shapes because the classic 40s and 50s isn't the best for those ladies and its ever so frustrating! Copyright 20thcenturyfoxy.com 2011. Watermark theme. Powered by Blogger.